I think the first thing that attracted me to The Leather Doctor is its uniqueness. 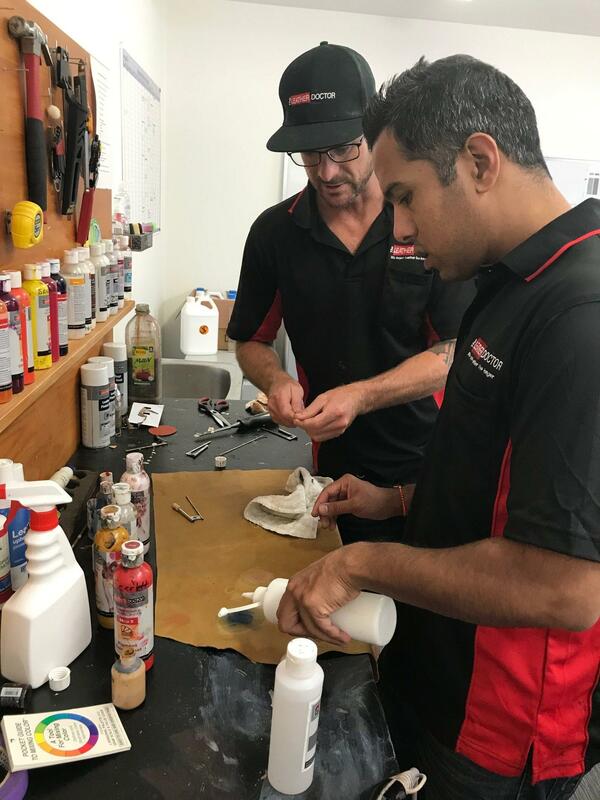 Then, when I met with Casey (Leather Doctor Sales Manager), he explained the whole process simply and effectively and he also handled my objections well, which gave me a lot of confidence. I had a food delivery company which was delivering along the Great Ocean Road. I had a contract with a company called Routley which specialises in making pies, as well as sub contracts with 6 or 7 other food manufacturers. What territory have you purchased? I have purchased the Leather Doctor Melbourne North West area, taking in suburbs such as Greenvale, Tullamarine, Essendon and Moonee Ponds. I hope to achieve skills and techniques with which allow me to develop good customer relationships, and also earn lots of money! What process did you go through to make sure The Leather Doctor was the right franchise for you? I believe contacting and meeting with Casey was the first step. After that, I did a bit of research on competitors in this field and also discussed the franchise format with couples of trade friends. What advice would you give to someone looking to purchase a franchise? The advise I can give to someone looking to purchase franchise is to make thoroughly research the competitor, make sure there is value in the money you are spending and the process should be easy with no hidden information. Well, an ideal weekend for me is all about family. I love to spend time with my 4 year old daughter, so will take her out to her favorite spots like a park or a playcentre and then go out for dinner.